At Printpack India 2019, TRESU Group, together with its regional agent CGSASP, is showing its ancillary solutions for automating ink supply and enhancing quality, efficiency and output on flexographic label and packaging presses. The company is also presenting information about its Flexo Innovator, an inline flexo printing and converting machine for paperboard applications, combining high speed, minimized waste and fast setup times. TRESU’s Ancillary division is highlighting the vital contribution its program of chamber doctor blades and ink supply systems make in optimizing print quality, waste elimination and machine uptime. Covering label, paperboard, flexible packaging, tissue and specialist coating applications, TRESU’s chamber program is available for all web widths between 185 mm and 6000 mm. Using the company’s unique ‘Pressure Control Technology’, the chambers eliminate air contamination and microfoaming, to ensure clean, uniform print on the substrate. A long-life rubber seal system provides an airtight enclosure, preventing leakage, and maintains consistent ink pressure. Ink quality is assured by a liquid barrier, formed between the rotating anilox rolls and the chamber, preventing air from entering the cells during production. The chamber doctor blades also feature fast, safe blade-exchange as standard. Light-weight, corrosion-resistant carbon fibre and ceramic alternatives are available. Chamber doctor blades may be supplied with new presses and retrofitted on existing ones. 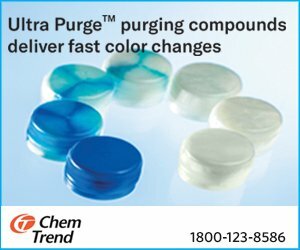 TRESU is recognized for its ink supply systems, which can be part of the configuration of a new press or retrofitted. The F10 iCon ink supply system regulates ink flow, pressure and viscosity, to ensure a constant, accurate ink density on the printed substrate without air contamination. An energy-efficient system, it provides thorough automatic cleaning with a complete ink change cycle taking between 5 and 15 minutes. As part of the automatic cleaning, a very large proportion of the unused ink can be returned to the bucket. Information, samples and animations about the TRESU Flexo Innovator flexo printing machine for advanced, high-quality, high-speed packaging production for folding carton board, paper, laminates and metallic substrates is available on the stand. 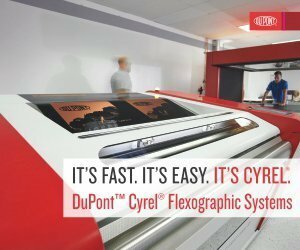 With its customized line configuration, in web widths from 670 mm to 1700 mm, the Flexo Innovator can integrate water-based, solvent and UV-curable inks, as well as value-adding complementary processes, including double-sided printing, gravure coating (double-sided), inkjet, cold foil and lamination. Speeds of up to 800 meters per minute make the Flexo Innovator an advanced, versatile solution for both short and long-run production. TRESU adds value to its customers’ operations with a responsive global support network, with subsidiaries and agents providing technical and sales assistance, training, and application consultancy to optimize returns on investment. CGSASP Pvt. 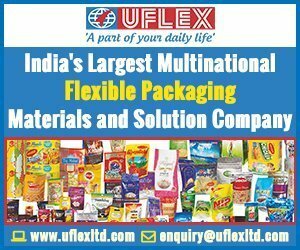 Ltd., based in New Delhi and representing TRESU Group in India, provides a first point of contact for enquiries, as well as a local source of support and consumable products. For web widths from 1600mm to 6000mm (63in to 236.22in), the new TRESU MaxiPrint Concept chamber features an integrated cleaning nozzle with a robustly designed water-shot mechanism for fast, efficient cleaning of the chamber and the anilox roll. A low-pressure shot mechanism ensures minimal water loss during cleaning. The TRESU ‘P-Line’ pneumatic clamping system ensures blade-exchange within two minutes. The TRESU FlexiPrint Reservoir SAVEink chamber doctor blade is for narrow web flexo applications up to 800mm wide. 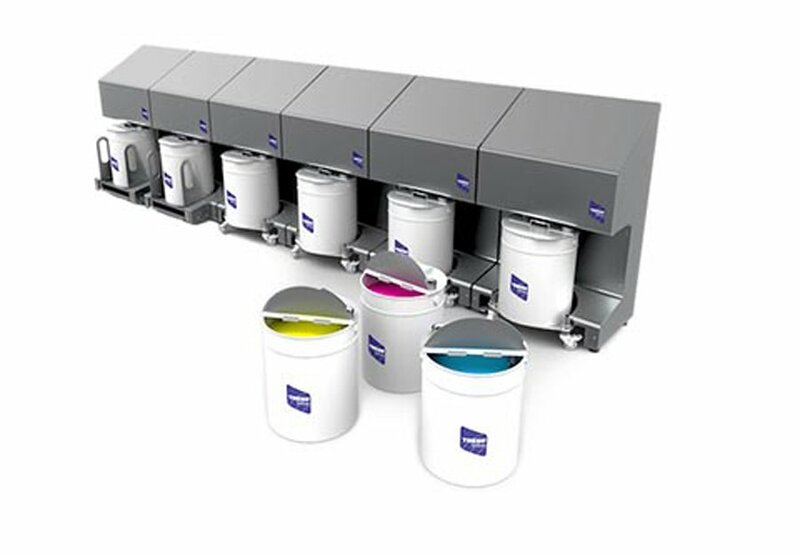 With an integrated high-capacity reservoir, the TRESU SAVEink is ideal for process and spot colours as well as high ink-transfer printing, without the need for a connected pump. It is sealed and locks into place in seconds without the risk of spilling or ink contamination. Ink may be added to the reservoir without stopping the press. Also featured are other models in the FlexiPrint range: FlexiPrint Basic and FlexiPrint Reservoir, offering high price-performance ratios. These doctor blade systems maximise print quality, ink usage and savings on waste. FlexiPrint Basic offers high-quality doctoring for anilox rolls from 80mm to 2000mm in width and between 60mm and 400mm in diameter. Suitable for water, solvent and UV-curable inks and coatings, FlexiPrint Basic features TRESU’s patented ‘E-Line’ eccentric clamping system and seals for fast, accurate and easy doctor blade changes, and protection of ink quality. FlexiPrint Reservoir is designed for water-based and UV coatings. It can be manually filled or used with a pump. The easy-load cassette enables fast colour / coating changes and the patented seals mean that surplus ink can be reserved in the chamber for future use.